“Svoboda was part of the Ukrainian revolution, but it was not their revolution.” HSI has spoken to Swedish historian Per Anders Rudling, an expert on Ukrainian and Belarusian nationalism. 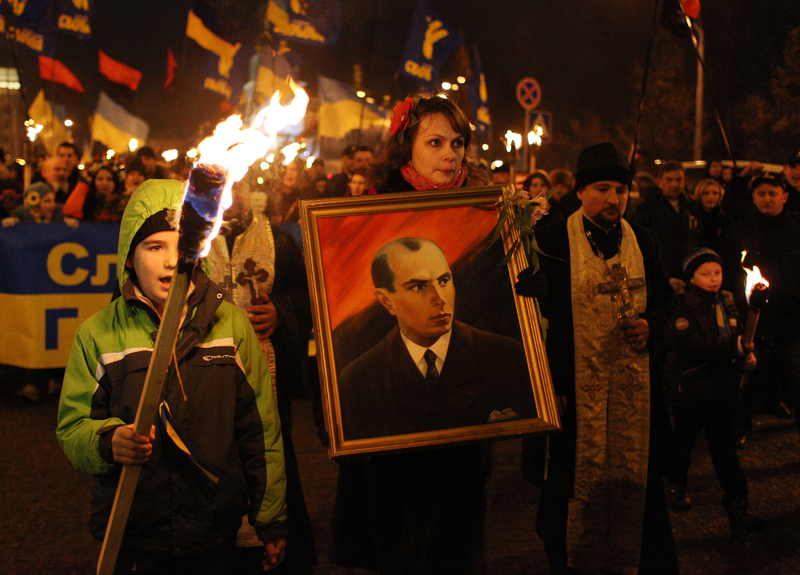 Members of Svoboda (Freedom) Party are carrying the portrait of Stepan Bandera during a torchlight procession in Kiev, 1. January 2014. Photo: Anatolii Stepanov / Demotix / SCANPIX. Under copyright. With the Ukrainian revolution, the ultranationalist political party Svoboda – whose name means “Freedom” – has found itself in the limelight. 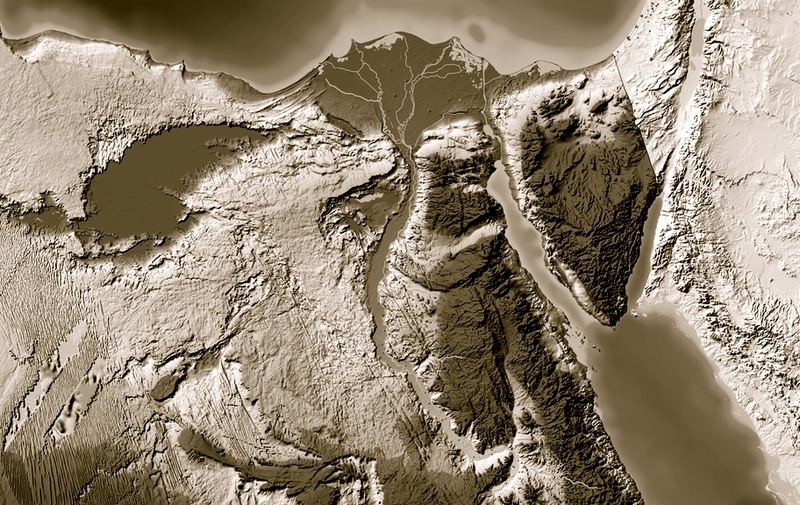 Before the revolution, few Westerners had even heard of it. “Banderovtsi” is a telling reference to supporters of the Ukrainian ultranationalist leader Stepan Bandera in the Second World War. He led the fascist-oriented Organization of Ukrainian Nationalists (or rather, its more radical faction) from 1940. Bandera also played a central role in declaring an independent Ukrainian state in 1941. The proclamation promised that the state would “work closely with the National-Socialist Greater Germany, under the leadership of its leader Adolf Hitler which is forming a new order in Europe and the world and is helping the Ukrainian People to free itself from Moscovite occupation”. However, Nazi Germany had little interest in an independent Ukraine and the relationship soon soured, leading to the arrest of many central OUN members. Bandera, one of the arrestees, was eventually sent to the Sachsenhausen concentration camp. He survived the war but was assassinated by the KGB in Munich in 1956. However, even today a considerable number of Ukrainians consider Bandera a hero, and several organizations claim to be the OUN’s heirs – including Svoboda. On 1 January, Bandera’s birthday, Svoboda activists staged torch-lit processions in his honour, both in Kiev and in Lviv. The Swedish historian Per Anders Rudling – a specialist on nationalist movements in Ukraine, Belarus and Poland – is amongst the few academics who have written on Svoboda. He says that Russian propaganda seeks to discredit a popular revolt against what was “a corrupt and criminal regime”. “The Ukrainian revolution was a broad, popular movement,” Rudling says, “including liberals, leftists, conservatives and ultra-nationalists. Svoboda was part of the revolution, but it wasn’t their revolution.” Still, he believes it is necessary to critically examine Ukraine’s far right. In an article recently published in the book Analyzing Fascist Discourse: European Fascism in Talk and Text (eds. Ruth Wodak and John E. Richardson; Routledge, 2013), Rudling looks into the roots of Svoboda and describes the party’s founding, in Lviv in 1991. Through the merger of a number of far-right organizations and student fraternities, the Social-National Party of Ukraine (SNPU) emerged. Its ideology was inspired by Yaroslav Stetsko, the leader of Bandera’s OUN from 1968 until his death in 1986. Stetsko was head of the so-called Anti-Bolshevik Bloc of Nations, a coordinating centre for anti-Communist émigré political organizations from Soviet and other socialist countries. He believed in the necessity of “two revolutions”, one national and one social. For the party’s symbol, the SNPU chose a mirror image of the Wolfsangel, a symbol used by several SS divisions during the war and later by neo-Nazi organizations. 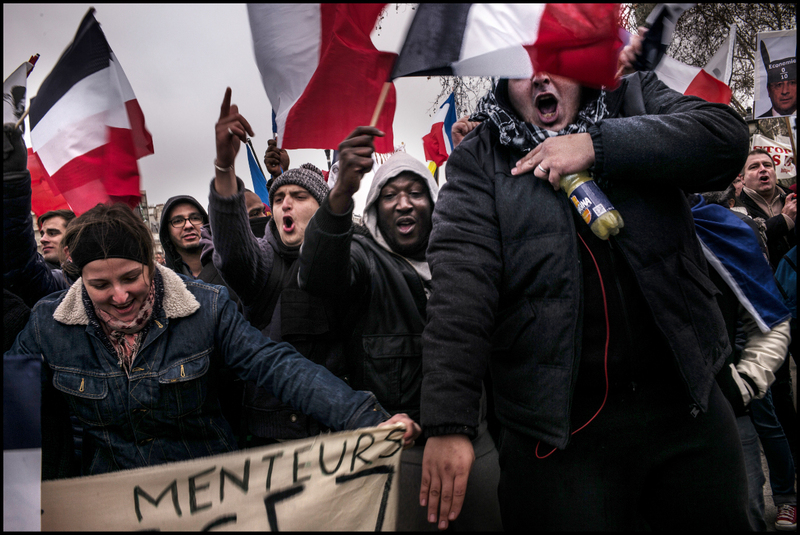 The new party recruited skinheads and football hooligans, and organized a paramilitary guard. Its appeal was limited. In 2004, however, it elected a new leader, Oleh Tiahnybok. He undertook efforts to remove the extremist image. The party changed its name – inspired by the Austrian Freedom Party, FPÖ – and replaced the Wolfsangel with an image of a hand with three raised fingers in the Ukrainian national colours. Tiahnybok would land in trouble a few months later, however, after giving a speech in which he celebrated the OUN-UPA, the military wing of Bandera’s OUN, for having “fought against the Muscovites, Germans, Jews and other scum, who wanted to take away our Ukrainian state” and asserting that Ukraine was ruled by a “Muscovite-Jewish mafia”. The following year, as member of parliament representing Victor Yuschenko’s Our Ukraine Bloc, he took part in a petition calling for a parliamentary investigation into the “criminal activities of organized Jewry in Ukraine”. In his article, Rudling states that Svoboda’s official policy documents are reserved in comparison with its daily activities and internal jargon, which are more radical and racist in tone. 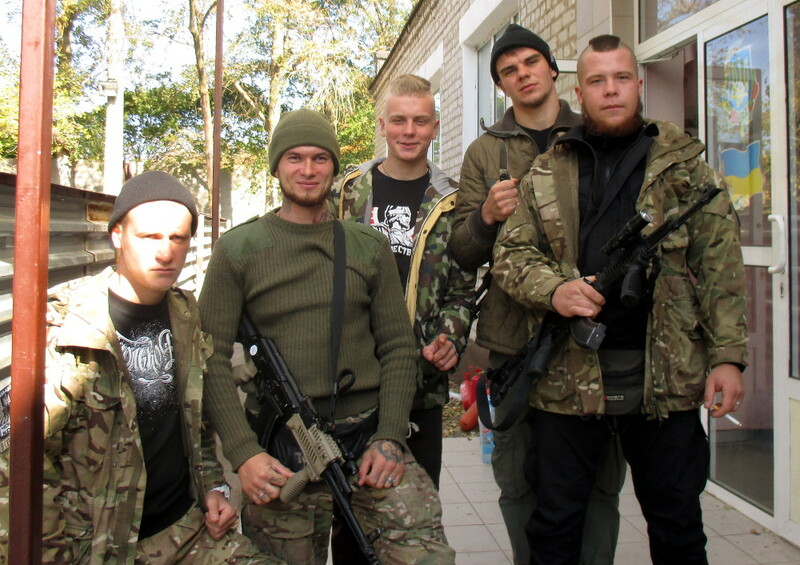 He also states that Svoboda subscribes to the OUN tradition of national segregation. HSI asked Rudling whether Svoboda has been through a moderation process. 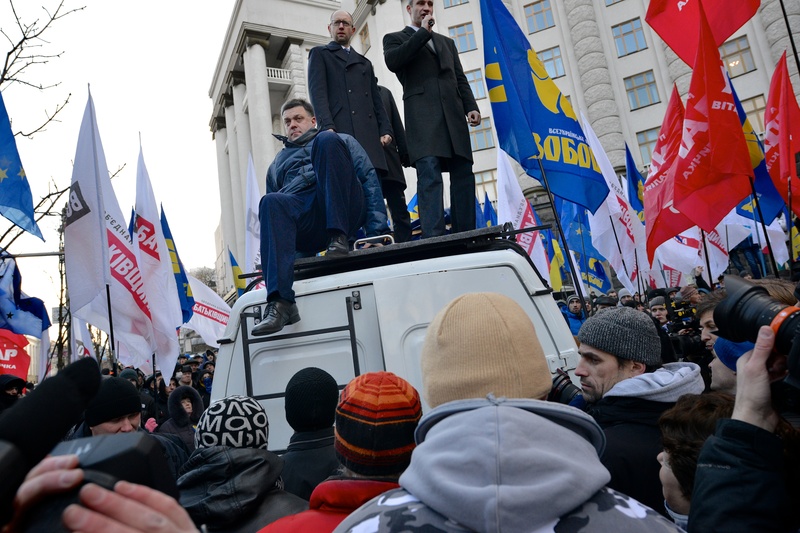 popular support for Svoboda has dramatically dwindled during 2013, while Svoboda’s leader Oleh Tyahnybok’s presidential rating has fallen from 10.4% in March 2013 to 3.8% at the end of January/beginning of February 2014. Despite the sensationalist, Kremlin-inspired reports claiming that Ukraine was facing “a neo-fascist coup”, Svoboda has been discredited during the revolution and it will hardly be able to regain the support it enjoyed in 2012. HSI asks him whether the conflict over Crimea could strengthen the ultra-nationalists in Ukraine, and maybe in Russia, too.